Sage-N Research Inc, the leader in computational proteomics, today announced a co-marketing agreement with Nonlinear Dynamics who are developers of proteomics software. The collaboration will see Sage-N Research co-market Nonlinear Dynamics' Progenesis LC-MS label-free quantification software alongside its SORCERER proteomics platform. The scientific capabilities of both companies are a natural compliment and the combined offering will facilitate continued progression in the global field of proteomics. 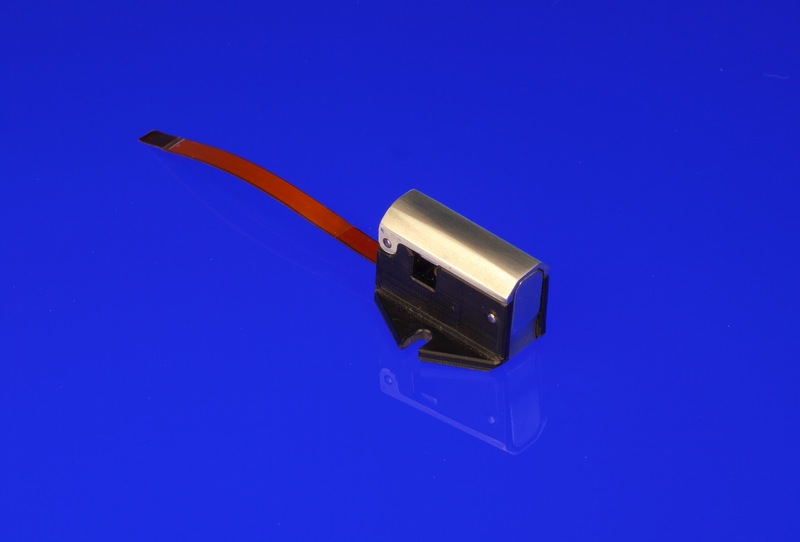 Morgan Technical Ceramics has launched a new tube contact sensor for accurate detection of occlusions in medical infusion lines. The sensor gives non-invasive detection of pressure changes in a flexible tube without the requirement for disposable cassettes and as a result, provides medical device OEMs with a simple and reliable method of recognising when the tube is blocked. The pressure sensor is suitable for use with soft thin walled tubing and can be clipped on and removed easily. It gives excellent performance and can detect both negative and positive changes in pressure from -0.5 to 1bar with a sensor accuracy of ± 0.05 bar. This pressure sensor combines MEMS silicone machined technology with a precision machined lid and catch. It is suitable for a 4mm – 4.7mm outside diameter x 0.8mm wall thickness medical grade silicone rubber tubing. The housing geometry has been designed to minimise foot print and it comes with a short flexi circuit for easy connection via a standard ZIV connector (6 pin 0.5mm pitch). The sensor can be customised to suit specific OEM requirements including tube diameter, housing geometry, materials and connector type. It can be mounted in any orientation and can be supplied without lid and catch if an alternative clamping mechanism is desired. Pharmsynthez today announced that the United States Food and Drug Administration (FDA) has unanimously awarded Virexxa, OJSC Pharmsynthez’s treatment for hormonotherapy-resistant endometrial cancer (a malignant tumor of the female reproductive system), orphan drug designation. Virexxa is the first Russian pharmaceutical to be awarded the status of orphan drug in the United States. The market capacity for this product in the US is estimated at US$ 500 million per year. The FDA made its decision based on a positive ruling by the Committee for Orphan Medicinal Products that combined therapy based on Virexxa can provide considerable clinical advantage to patients with endometrial cancer that is resistant to hormonotherapy. Sigma Life Science, the biological products and services research business of Sigma-Aldrich, today announced the release of its pre-designed CompoZr Knockout Zinc Finger Nucleases (ZFNs) technology to knockout any gene in the human genome. The new offer, attractively priced to fit within the budget of a typical laboratory, can generate permanent and heritable gene knockouts in human cell lines within weeks. Currently, few laboratories create gene knockouts in human cell lines because the inefficiencies of the natural cellular homologous recombination system and the investment of time and labor required to screen the resulting cells. In contrast, a wealth of peer-reviewed literature has shown that CompoZr ZFNs efficiently generate human cell lines with precise and stable gene knockouts in matter of weeks1. BioTek now offers three options to customers requiring peristaltic pump cassette recalibration for MultiFlo Microplate Dispenser, EL406 Combination Washer Dispenser and MicroFlo Select Microplate Dispenser. Option 1: Customers may send used cassettes to BioTek's Depot Service Center for refurbishment. Return forms may be requested at BioTek's online Customer Resource Center which can be accessed via www.biotek.com. Option 2: Replacement cassette tubing may be purchased for users to install and calibrate themselves. BioTek's Cassette Calibration Kit is required. Option 3: New pre-calibrated cassettes may be purchased. Jason Greene, Product Manager, noted: "With these options, our customers can choose a recalibration option to suit their laboratory's needs and budget; ensuring precise results from their BioTek dispensers." 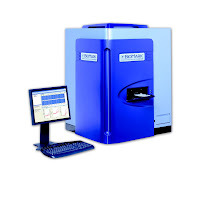 Agilent Technologies Inc today announced that Harvard Medical School has selected Agilent’s 700-MHz Ultra-High Field Nuclear Magnetic Resonance (NMR) spectrometer for biomolecular research applications. The spectrometer will be used by the laboratories of Drs Gerhard Wagner and James Chou of the Harvard Medical School to study protein structure and interaction. Integrated DNA Technologies (IDT), the leader in oligonucleotide synthesis, offers a completely confidential custom gene synthesis service. By manufacturing any genes, including hard-to-clone sequences, IDT provides a cost-effective service, eliminating the outlay for construction, cloning, and sequencing. In addition, each gene undergoes design, review and consultation, codon optimization, and sequence verification to provide guaranteed yields of 2µg of purified DNA. As standard, all genes are constructed using Ultramers, the highest fidelity next generation synthesis technology, and are all shipped in a plasmid cloning vector, ready for use. 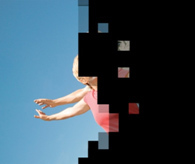 With the ability to clone from 50 bases up to 5kb, IDT can sequence almost any gene. Unless specified otherwise, all genes are delivered in the proprietary pIDTSmart vector, which has been engineered to remove common restriction sites and does not contain a promoter within the cloning region. With the choice of a kanamycin or ampicillin cassette, users can select their preferred resistance. IDT also has the ability to sub-clone into almost any custom supplied vector. PolyMedix Inc, a biotechnology company focused on developing new therapeutic drugs to treat infectious diseases and acute cardiovascular disorders, today announced the successful completion of a Phase 1 exposure-escalation clinical study with its synthetic defensin-mimetic antibiotic, PMX-30063. The study results showed that PMX-30063 may be safely administered at a high dose for more than five days. These data support dosing levels being studied in the current Phase 2 efficacy study in Staph infections. The results also showed very similar pharmacokinetic profiles of PMX-30063 in male and female subjects. 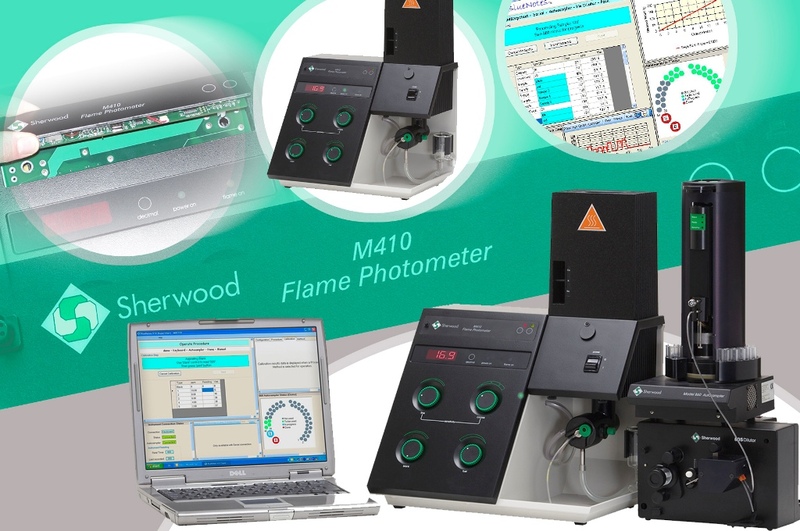 Operators of all model 410 Flame Photometers can now retrofit a digital interface/lineariser module and benefit from the new 410 BlueNotes software package, illustrating Sherwood Scientific’s ‘update and automate’ policy for instruments up to twenty years old. The latest Industrial and Clinical 410s come with the new module already fitted. The model 410 Flame Photometer is a valued instrument in many industries, university teaching laboratories, as well as clinical labs, particularly in Africa. As the need for traceability continues to increase, rather than ceasing manufacture and withdrawing support for older instruments, Sherwood Scientific developed a digital interface/lineariser module which slots neatly into the front panel. This, together with the new 410 BlueNotes software, effectively transforms even an early example of model 410 into a fully automated unit. 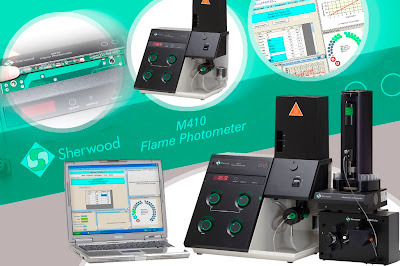 According to Jon Copsey, Sherwood Scientific’s Marketing Manager: "The Model 410 Flame Photometer – little changed since its development by Corning 28 years ago – has an enviable reputation for ease of use, excellent reliability and, most importantly, high quality results. Our policy of 'Update and Automate' means that customers can now future-proof both new and old 410s, adding the latest features such as date and time-stamped results and control of a model 860 autosampler." Designed for intuitive use, the digital interface/lineariser module and 410 BlueNotes software complement perfectly the original design and performance concept of the 410. The new module’s output can be sent to a serial printer or PC and the software package adds value by enabling traceability of results, data storage, calibration, result calculation, automatic correction for instrument drift, report production and many other functions. 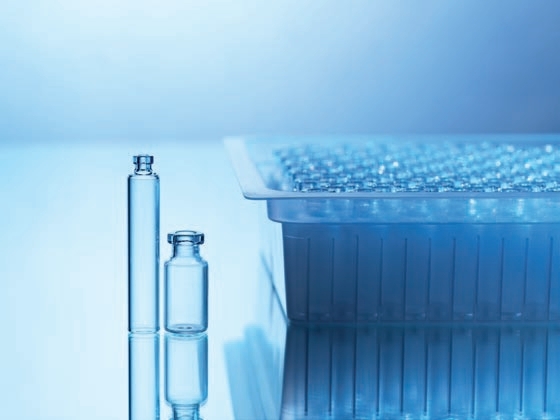 Isofol Medical AB today announced that the Swedish Medical Products Agency has approved the use of Isofol Medical's newly-produced vials of Modufolin for clinical trials. 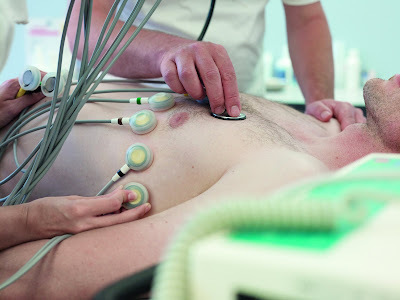 This enables Isofol Medical to initiate its first clinical trial on humans, the LARS2 trial. The LARS2 trial offers proof of concept of Modufolin in combination with antifolates for neoadjuvant treatment of rectal cancer patients. It is performed in collaboration with Sahlgrenska University Hospital. Univercell-Biosolutions SAS, a provider of human cardiac cells for drug discovery, and iPS Academia Japan Inc. (Kyoto, Japan), today announced a worldwide non-exclusive licensing agreement for iPS Academia Japan’s iPSC (induced pluripotent stem cell) patent portfolio. The portfolio arises out of the work of Professor Shinya Yamanaka, MD, PhD, Center for iPS Cell Research and Application (CiRA) at the University of Kyoto, Japan. Coupled with Univercell-Biosolutions’ own technology, the agreement will enable Univercell-Biosolutions to provide cardiac cells to the pharmaceutical industry while avoiding the regulatory complexity associated with the use of embryonic stem cells. MorphoSys AG announced today that Jens Holstein, currently Regional CFO for the region EME (Europe/Middle East) of Fresenius Kabi AG and Managing Director of Fresenius Kabi Deutschland GmbH, will succeed Dave Lemus both as Chief Financial Officer of MorphoSys AG and as a member of the executive management board (Vorstand). Mr Lemus will step down from his position as CFO with the Company in March 2011 to pursue other opportunities. Mr Holstein will take up his position on May 1, 2011. Switzerland-based CARBOGEN AMCIS AG, a pharmaceutical process development and Active Pharmaceutical Ingredient (API) manufacturing company, has advised its employees and the authorities today of its plans for restructuring the Swiss company's operations in Bubendorf (BL), Aarau (AG) and Hunzenschwil (Neuland, AG). The company finds itself forced to take this step on the grounds of the inadequate profitability brought about by the strong Swiss franc and the delayed effects of the financial crisis. The company currently has approximately 350 employees in Switzerland. Critical Outcome Technologies Inc announced today that the company was selected by the International Trade Branch and the Ontario Ministry of Economic Development and Trade in partnership with the Ontario BioScience Industry Organization to participate in a Trade Mission to BioPartnering North America in Vancouver, Canada taking place February 27 - March 1, 2011. BioPartnering North America is one of the premier annual international pharmaceutical partnering events. GeoVax Labs Inc announced today the publication of the results of Phase 1 clinical trial testing of its HIV/AIDS vaccine products. The article, titled “Phase 1 Safety and Immunogenicity Testing of DNA and Recombinant Modified Vaccinia Ankara Vaccines Expressing HIV-1 Virus-like Particles,” will appear in the March 1 issue of The Journal of Infectious Diseases. A PDF of the article is available at the following URL: http://jid.oxfordjournals.org/cgi/reprint/jiq105?ijkey=nT44dx1yCxsiOjV&keytype=ref . GeoVax is developing two vaccine components: a recombinant DNA-vectored vaccine; and a recombinant MVA-vectored vaccine. Both produce non-infectious virus-like particles in the body of a vaccine recipient. These non-infectious particles are designed to 'train' the immune system of the vaccinated person to recognize HIV should the vaccinated person be exposed to the real virus. Both the DNA and MVA vaccines induce humoral (antibody) and cellular (T cell) responses. Antibodies have the potential to block virus before it infects cells. The T cells have the potential to recognize and kill cells that become infected by virus that gets past the antibody. Oncolytics Biotech Inc announced today that enrollment has been completed in a UK translational clinical trial investigating intravenous administration of REOLYSIN in patients with metastatic colorectal cancer prior to surgical resection of liver metastases (REO 013). The principal investigator is Professor Alan Melcher of St James’s University Hospital and the trial is sponsored by the University of Leeds, UK. East Sussex Hospitals NHS Trust (ESHT) has chosen Sunquest ICE order communications software to handle GP requests for pathology tests at its laboratories in Hastings and Eastbourne. Dave Benton, Pathology Laboratory Manager at ESHT, explained: “We needed an order communications system for GP requesting, and chose ICE because we could configure it to meet our requirements and have control over it. We now have approximately 90% of GPs live on the system and hope to increase this to around 96% within the next few months. 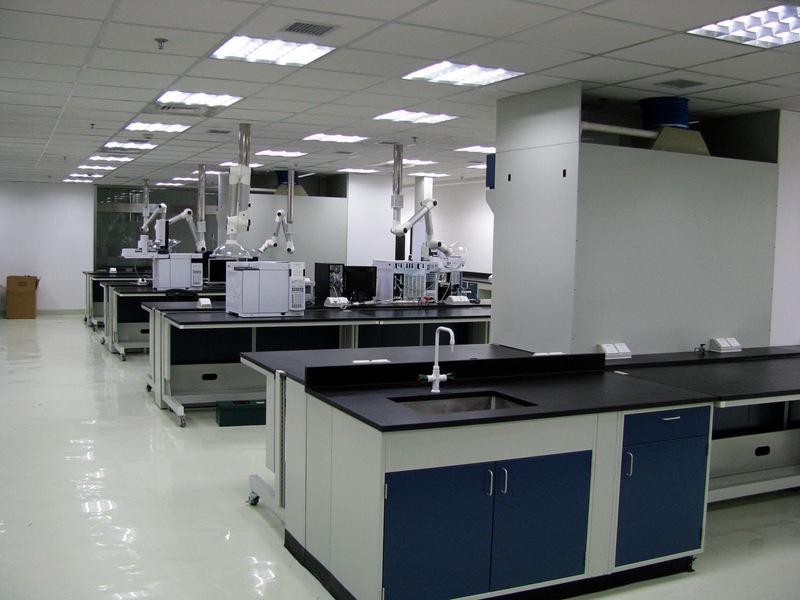 NSF International, a global not-for-profit public health and safety organization, has opened its new NSF Shanghai Testing Laboratory in Shanghai, China. The facility and staff will provide on-site training in the areas of food safety, pharmaceutical, medical device and dietary supplement manufacturing. The NSF Shanghai Testing Laboratory (full name NSF Shanghai Testing Technology Company) will complement NSF’s existing certification services in China and provide companies with a means to source safer products, raw materials and ingredients from Asia through independent, third-party testing and certification. The NSF Shanghai Testing Laboratory will work in harmony with NSF Shanghai Co Ltd, a joint venture NSF International established with the Shanghai Audit Centre of Quality System (SAC) in 2005 and is approved by the Certification and Accreditation Administration of the People's Republic of China (CNCA). Manufacturers and suppliers in China require independent system registration and product certification in order to access international markets. NSF helps companies navigate the global marketplace and bridge Western companies with the Asia market. A non-invasive brain imaging technique gives new hope to patients with Parkinson’s disease in finding new and better treatment plans and tracking the disease progression, a new University of Michigan study shows. The technique uses an MRI to measure resting state brain activity oscillations, said Rachael Seidler, associate professor in the School of Kinesiology and the Department of Psychology, and study author. Neural oscillations in a resting state are normal, Seidler said. However, in the part of the brain affected in Parkinson’s, called the basal ganglia, those neural oscillations go haywire and spill into other parts of the brain, causing cognition, movement, memory and other problems. Think of a ripple in a pond spreading and disturbing the entire surface of the pond. Previously these neural oscillations were only available for study during brain surgery or in animal models. SPAMI, a company forming part of the Stevanato Group, has developed an inspection system to improve the quality of glassware. It uses quality control technologies to screen the glass tubing on arrival at the plant as well as the final product. The system includes a visual inspection system (NoVIS), a system for continuous temperature measurement, and also a digital image processing system, called CLEANER, which is able to detect and remove defects in the glass as small as a few microns in the final product. The fully integrated process machinery provides measurement of glass tube diameter, wall thickness, and temperature using infrared pyrometers (Pyrometer Annealing control) for total quality control, and motorized burners provide close control of their positioning. 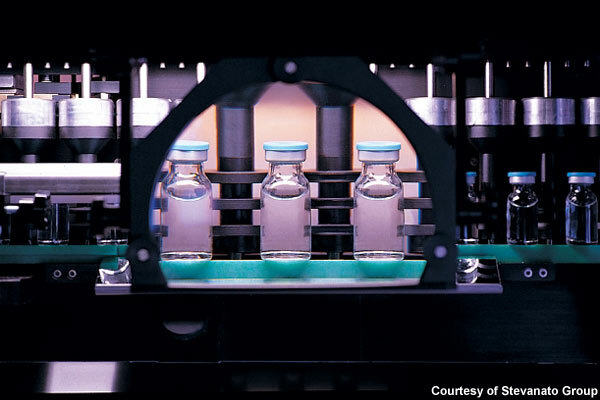 The use of this system gives Stevanato their advantage in quality over other vial manufacturers. For this advanced system, SPAMI. uses HMS Anybus converters for the connection between remote visual inspection cameras and the PLCs controlling the production lines. Founded in 1949 as an artisan workshop in a region with a strong tradition in the art of glass-making, Stevanato Group is now an established industrial enterprise producing high technology systems. The group comprises two divisions. 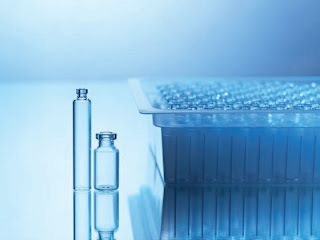 The Glass Division specializes particularly in the production of primary packaging of glass tubing for pharmaceutical use. It offers a wide range of products from the most traditional primary packaging, such as ampoules and vials, to rapidly growing products such as cartridges for self-injectors and peninjection systems, including sterile ready-to-fill syringes. Cellzome announces the appointment of four new members to its Scientific Advisory Board (SAB), further extending its scientific network in immunology, epigenetics and proteomics. Joining the team are Professors Ruedi Aebersold; Anne Ferguson-Smith; Jeannie Lee and Diane Mathis. The announcement follows the appointment of Professor Tony Kouzarides and Dr Peter Machin in October last year. Horizon Discovery today announced that it has secured worldwide exclusive rights to a panel of new human isogenic cell models developed by Dr Jian Yu and Dr Lin Zhang of the University of Pittsburgh (Pitt) using techniques that are the basis of the company’s proprietary rAAV GENESIS gene-editing platform. Included in the panel is a novel isogenic cell-model for a key human non-coding RNA gene-expression regulator called miRNA21, which is implicated in a wide range of cancers. This new cell-model will help researchers understand the effect of miRNA21 in patients and help explore this gene-regulator as a potential new target for therapeutic intervention. Silence Therapeutics plc announces the issuance of United States patent 7,893,245, titled “Interfering RNA Molecules,” by the United States Patent and Trademark Office (USPTO). The issued patent, which represents a continuation of previously issued US Patent Number 7,452,987, covers chemically modified RNAi molecules with defined positional modifications including siRNA molecules that are blunt ended, as well as molecules with one or more overhangs. Importantly, this latest patent broadens Silence’s protection of these RNAi molecules to those with a chemically modified core length between 17 and 29 nucleotides including the company’s portfolio of 25mer siRNA sequences. This patented siRNA technology forms the foundation for AtuRNAi, Silence’s propriety RNAi molecules. Various therapeutics incorporating Silence’s AtuRNAi technology are currently being studied in five ongoing clinical trials conducted by Silence Therapeutics and other industry leaders. The statistics are staggering. Millions of people worldwide suffer without hope from vision loss due to neurological injuries like stroke, tumors, or trauma - often needlessly. In the US alone, 20-30% of TBI and stroke survivors may suffer visual field deficits - most erroneously having been told their only option is learning to compensate for their condition. Enter ‘Vision Restoration Therapy’ (VRT) – a game-changing med-tech innovation enhancing lives while revolutionizing the rehabilitation paradigm at large. The emphasis in the past for vision therapy was simply to help the patient compensate for, or adjust to, their vision loss. Options have not been readily available to help repair lost eyesight - until now. Individuals living with neurological vision loss cite difficulty with mobility and the performance of every day tasks like driving, reading and writing. These issues can dramatically undermine their overall quality of life or safety while also often requiring the reliance on caregivers for daily support. The Clinical and Laboratory Standards Institute (CLSI) and the Association of Public Health Laboratories (APHL) recently announced the upcoming educational teleconference, "POCT08-A: A Point-of-Care Resource for Nonlaboratory Specialists," scheduled for Thursday, March 3, 2011, from 1:00-2:00 PM Eastern (US) Time. AnaSpec, Eurogentec Group has introduced CherryExpress T7 Protein Express Kits from Eurogentec. 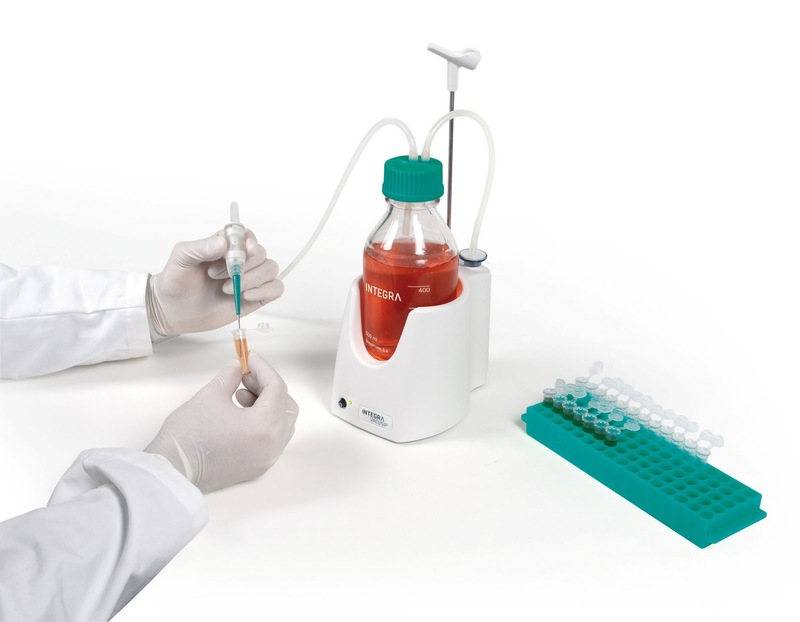 The CherryExpress kit allows direct visualization through the whole process of T7 protein expression, production and purification without the need for any special requirements or reagents. This system is also convenient for rapid screening and optimization protein solubility. A simple absorbance reading at 413 nm gives specific and accurate calculation of the target protein concentration at each step. The CherryExpress kit provides easy quantification and easy to follow purification steps. When using the CherryExpress, it is possible to quantify the protein concentration at any step (from protein production to the end of purification process): a simple absorbance measurement at 413 nm allows specific and accurate calculation of the target protein concentration. The red colour constitutes a visual marker throughout the protein purification steps. Concentration of the fusion protein can be determined easily by spectral measurement at 413 nm (before and after purification). After purification, the tag can be cleaved using Enterokinase (a recognition site is inserted at the C-terminal end of the tag sequence). 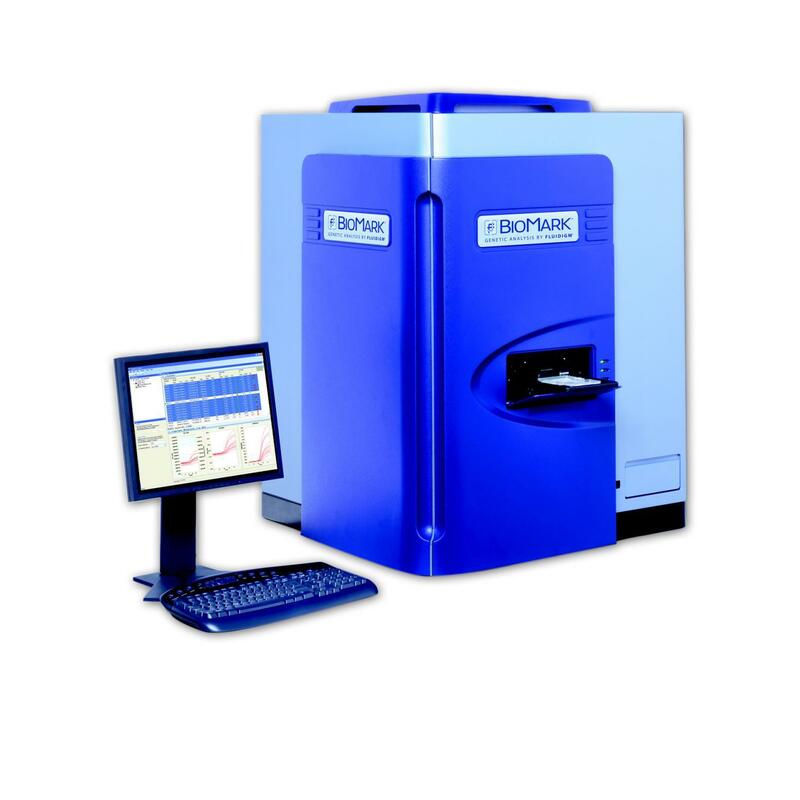 The CherryExpress system is also appropriate for rapid screening and optimization of protein solubility. The kit provides visual aid for "live" estimation of the best conditions such as time and temperature. Just follow the OD at 413 nm! There is no need to lyse cells to follow the purification process to determine if the protein is expressed or not. Lack of solubility is a major problem when expressing recombinant protein in E. coli. However, when using the CherryExpress vector, the Cherry tag (heme binding part of cytochrome, 11kDa) is highly soluble and thus, can increase the solubility of target proteins. PSCherry1 and PSCherry3 vectors allow expression of protein with the Cherry tag at the N- or C-terminus, respectively. The Cherry tag inserted in the StabyExpress T7 vector gives multiple advantages such as T7 expression, plasmid stabilization without antibiotics and protein visualization. 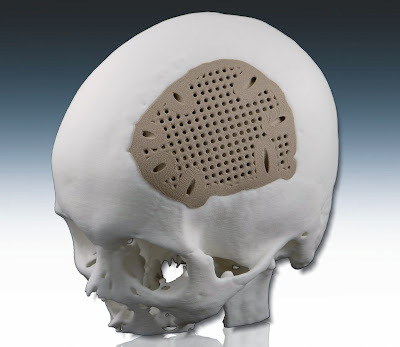 This customised craniofacial PEEK implant has a scaffolding mesh that can only be created by laser-sintering. 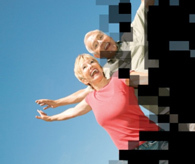 The mesh promotes improved bone growth after implantation. The first PEEK craniofacial test implants to be produced by the laser-sintering additive manufacturing process have been presented by EOS at the co-located Pacific Design & Manufacturing/MD&M (Medical Design & Manufacturing) West shows at the Anaheim Convention Center, California, USA. EOS’ Collaborative Projects Coordinator, Joerg Lenz, delivered a previously unpublished technical paper on results from a European Union-funded project called Custom-IMD. Core project activities include the development of new biomaterials and rapid manufacturing technologies that will allow customised implants to be delivered to surgeons within a 48 hour time frame. Entitled “Laser Sintering of PEEK", Lenz's paper described plastic test implants fabricated at EOS' headquarters in Germany using the EOSINT P 800 system, the first laser-sintering system capable of operating at up to 385 degrees C for processing high-performance polymers. Transgene announced today the termination by Roche of the 2007 agreement under which Transgene granted Roche exclusive global development and commercialization rights to TG4001/RG3484, a therapeutic vaccine candidate to treat notably high grade cervical intraepithelial neoplasia (CIN) lesions (CIN2/3) caused by Human Papilloma Virus infection. TG4001/RG3484 is currently in a Phase IIb clinical trial in this indication. Roche has indicated to Transgene that its decision to terminate the license agreement is based on its own strategic reasons and is not data driven. Transgene does not expect that the termination of the license agreement will have any impact on the ongoing Phase IIb trial involving 200 patients: with over 195 patients enrolled to date, recruitment in this trial is almost completed and interim data are expected by the end of 2011 or early 2012. Upon effective termination this summer, Transgene will regain full and unencumbered development and commercialization rights to TG4001. Transgene does not expect Roche’s decision to have a significant financial impact for the company in the short term. Whether users require technical advice on a product or an application, a team of trained scientists with many years’ laboratory experience in research and industrial environments are on hand. Immediate advice is available by email or phone, and the aim is to respond to all enquiries within one working day. Support topics range from advice on the best product for a specific application, to care and maintenance of equipment such as pH electrodes; from help with programming a thermal cycler, to analysis and troubleshooting of customers’ data. Information relating to spare parts and accessories, manuals for older pieces of equipment, and application notes is also provided to help users get the best performance from their Jenway, Stuart and Techne products. Delegates to the Regulatory Affairs Forum during the upcoming ISPE conference in Frankfurt, Germany, have the opportunity hear the latest regulatory news from Europe, the USA and Japan and to meet and discuss their challenges and concerns with an outstanding group of senior regulatory representatives. Confirmed attendees include David Cockburn (EMA), Tor Gråberg (Chairman, PIC/S), Rick Friedman and Moheb Nasr (USFDA) and Sabine Kopp (WHO) together with representatives of the regulatory agencies of Japan, Ireland and Sweden. This is a unique opportunity for delegates to put their business-critical review and compliance questions to a highly distinguished international panel of speakers in an interactive half-day session. The ISPE New Strategies and Business Benefits Conference, which runs from 11-14 April 2011, also provides opportunities to learn about latest pharmaceutical industry and regulatory trends in a series of two-day seminars, featuring real-life case studies, interactive workshops and technical updates. ATCC (American Type Culture Collection), the diverse bioresource center, offers primary cardiomyocytes isolated from adult human tissue. Unlike cardiomyocytes derived from human ES or iPS cells, these heart muscle cells propagate in culture with high viability and plating efficiency. ATCC Cardiomyocytes are ideal for research related to heart disease, tissue regeneration, drug screening, preclinical cardiotoxicity and cell signaling studies involving voltage potential measurement of ion channel and ion pump transporters. 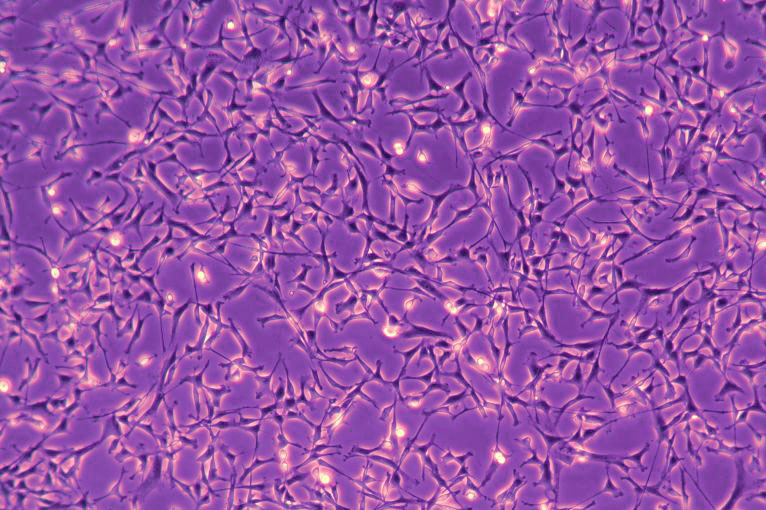 ATCC Normal Primary Cardiomyocytes are one part of ATCC Primary Cell Solutions, a system of matched components that include cryopreserved cells, optimized media, growth factors and reagents for cell culture. Complete Cardiomyocyte Growth Medium consists of Vascular Cell Basal Media, a sterile, phenol red-free liquid tissue culture medium, supplemented with the Cardiomyocyte Cell Growth Kit. The kit is comprised of several purified recombinant human (rh) growth factors, including rh FGF-basic, rh insulin and rh EGF/rh TGF-β1, in addition to FBS and fetuin. 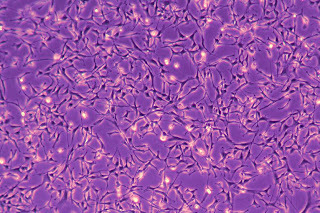 ATCC warrants the viability and growth performance of Normal Primary Cardiomyocytes when grown in Complete Cardiomyocyte Growth Medium. Scientists no longer require additional components such as feeder layers, extracellular matrix proteins or other substrates. ERT, a global technology-driven provider of clinical services and customizable medical devices to biopharmaceutical and healthcare organizations, announced today the appointment of Eric Ian Schwartz as Executive Vice President and Chief Legal Officer effective February 22, 2011. The new VACUSIP from INTEGRA is an out-of-box vacuum aspiration solution for the wide array of liquid waste disposal tasks carried out at the laboratory bench. Occupying a small bench top footprint - the VACUSIP makes disposal of liquid waste both safe and convenient. The VACUSIP provides an optimized solution for applications including the aspiration of small volumes of liquid, such as supernatants after centrifugation steps, removal of washing solutions and multi-channel removal of sample from multi-well microplates. The VACUSIP features a reliable low noise pump and rechargeable battery enabling it to operate completely independently from an external vacuum source and power supply. This portable flexibility allows you to simply relocate your VACUSIP anytime to the point of need. To optimize battery run-time, the pump automatically switches on and off according to the vacuum needed for an aspiration task. The unique VACUSIP hand operator enables precise fine regulation of the liquid aspiration flow. A wide range of adapters are available for the hand operator enabling the VACUSIP to handle almost any liquid waste disposal task. A hydrophobic filter protects the unit from contamination and liquid entry. All components coming in contact with liquids can be autoclaved. Exchanging a full collection bottle is safe and easy, making VACUSIP the system of choice for the convenient removal and disposal of liquid waste. Cytheris SA, a clinical stage biopharmaceutical company focused on research and development of new therapies for immune modulation, today announced publication of data showing that IL-7 is able to overcome many of the factors that thwart an effective immune response during chronic overwhelming viremia in diseases such as HIV infection and viral hepatitis. The results of this study also suggest how in the context of the reduced viral load established by current treatments for chronic viral diseases, IL-7 therapy could be used to produce and expand specific T-cells and promote a broad and durable immune mediated antiviral response. 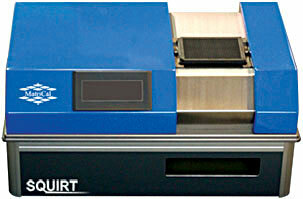 SQUIRT can wash any 96, 384 and 1536-well SBS formatted plate without manifold exchange or adjustment. SQUIRT's design sweeps a blade of liquid across the whole surface of the plate. This is followed by an air blade to dry the plate. This blade design eliminates clogging and the 'corona effect' (where cells are selectively removed from the centre of the wells with traditional probe based instruments). SQUIRT microplate washers are perfect for any lab performing cell based assays, ELISA, coating microplates, high content screening, proteomics and genomics research. The SQUIRT can be fitted with a magnetic plate insert for applications using magnetic beads. * Wash any SBS compliant microplate with a single microplate washer. The blade wash head eliminates the need for separate wash manifolds for different plate formats. * Precise, fast, easy to use, and robotics compatible. * Suitable for the most demanding wash requirements. * Quick setup with easy out-of-the box design. Agilent Automation Solutions has announced the BenchBot Robot - a new mid-sized microplate handler designed to meet the automation workflow needs of diverse laboratories. Demonstrated in an informative new online streaming video the BenchBot Robot incorporates the robust functionality of Agilent Automation's larger automated microplate handlers into a compact design for use in small lab spaces, enabling automation of a wide variety of changing, science-driven workflows. The BenchBot has the capability to easily integrate with an expansive list of laboratory equipment increasing its utility for applications from next-generation sequencing and microarray sample preparation to high-throughput LC/MS sample management and numerous cell-based assays. on a bench, in a fumehood, or on a docking table. With the BenchBot robot, automated solutions move from large, specialized machines to compact, flexible robots that any scientist can use. 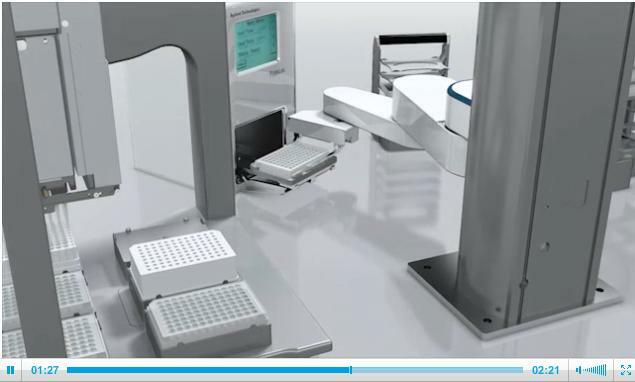 The simplicity of the BenchBot's one-touch programming in an application requiring automation of sealing, labeling, spinning, bulk dispensing, plate reading, washing and incubating is demonstrated in the online video that shows how the fast and easy robotic configuration teaching method minimizes setup time and removes the need for dedicated personnel. Using Fluidigm Corporation's BioMark System and Digital Array integrated fluidic circuits (IFCs), researchers from the University of California San Francisco (UCSF) have identified serum microRNAs that can serve as biomarkers for prostate cancer. To do this, the UCSF research group designed their own microRNA preAMP and PCR primers specifically to be used on the BioMark platform. Through this method, they were able to identify mRNA signatures that correlate with prognosis. 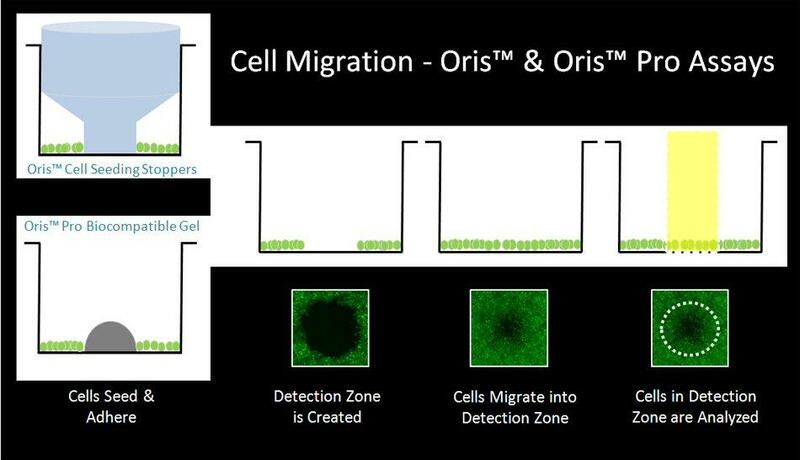 New independent research demonstrates that the Oris Cell Migration Assay presents a superior quantitative, high throughput alternative to the scratch assay. Cell migration is integral to many physiological processes, including embryonic development, tissue regeneration, and wound healing. One assay commonly used to study cell migration is the scratch assay creating a cell-free gap, or 'scratch', on a confluent cell monolayer. 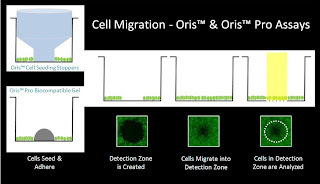 Whilst this method is popular, the inherent variability in how scratches are produced and physical damage to cells make it difficult to obtain quantitative and statistically valid measurements of cell migration. Furthermore it has been demonstrated that the "scratch" will damage any underlying extracellular matrix (ECM). The KINOMED Partnership, funded by the Eurostars programme of the European Union, has been established to provide an integrated package of services for protein kinase inhibitor discovery and development. Kinase production, kinase assay development, kinase crystal structure determination, kinase fragment library construction, hit finding and optimisation, in silico screening, kinase biochemical and biophysical screening, structure- and ligand-based drug design and medicinal chemistry services are all included within a single, state-of-the-art offering. PharmaDeals research has revealed that the early stages of recovery are now evident within pharmaceutical deal making activity. The overall number of deals in 2010 grew relative to 2009, and whilst collaborative R&D deals continue to decline in numbers and value, licensing activity is on the increase. The results were recently presented by Dr Walton at the Sachs 4th Annual European Life Sciences CEO Forum for Partnering & Investing held in Zurich, and through analysis published by the journal PharmaDeals Review. MorphoSys AG announced today that it has received a technology milestone payment from Novartis in connection with completion of the installation of its HuCAL antibody platform at Novartis Institutes for BioMedical Research in Basel, Switzerland. The milestone arises in connection with an option in the 2007 agreement between the two companies for Novartis to internalize the HuCAL technology, and comprises a double-digit million euro payment. The collaboration between the companies is unaffected by the achievement of the milestone, and the number of active programs to be pursued by Novartis as well as the number of MorphoSys employees working on Novartis's projects remains unchanged. The milestone is already included within MorphoSys's projected 2011 revenues of at least EUR 105 million. All four analysers offer a test menu enabling you to avoid the costly outsourcing of routine safety testing, while allowing you to be in control of the entire process. Randox Pharma Services offers an analyser suited to each phase from pre-clinical through to high volume clinical trials, ensuring continuity and reliability throughout. 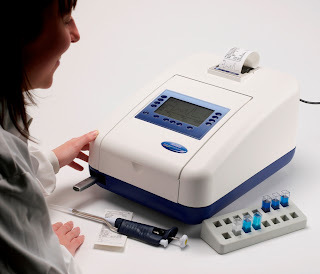 The smallest of the series, the RX monza is a semi automated clinical analyser ideal for low throughput testing in clinical, research laboratories and specialised clinics. The RX daytona is a compact benchtop fully automated clinical analyser with a throughput of 180 photometric tests and 270 ISE tests per hour. The RX imola is a fully automated and random access benchtop analyser capable of performing 400 photometric tests and 240 ISE tests per hour. The latest addition to the RX Series is the RX suzuka. The RX suzuka is a fully automated random access analyser capable of carrying out up to 1200 tests per hour including ISEs, this system provides increased efficiency and productivity. With such wide choice, your requirements are sure to be met. The RX Series offer a host of benefits in order to reduce costs, save time and make testing safer. Each system requires only a small sample volume which conserves valuable sample. Reagent volume required is also low, reducing cost per test. The RX Series require no extra consumables, for example; permanent pyrex cuvettes are used, providing considerable cost savings. To complete the package, we also provide an unrivalled Quality Control package. Randox quality controls cover over 170 parameters and are known to be of the highest quality and the most accurate, stable and consistent controls available, ensuring valid clinical results. Customised QC is also available in addition to RIQAS, the largest global EQA scheme. Sigma Life Science, the biological products and services research business of Sigma-Aldrich, today announced the addition of new genetically modified cancer cells to the company’s range of high-quality cell lines. These human knockout and knock-in oncology cell lines, created using Sigma’s proprietary CompoZr Zinc Finger Nuclease (ZFN) technology which received a silver medal as a Top Ten Innovations of 2010 from The Scientist magazine, offer researchers cellular models of cancer that are expected to enhance development of drugs for personalized medicine. At this year’s LabAutomation, TTP LabTech continued the promotion of its drug discovery product line. This included the mosquito LCP and HTS, the Mirrorball and Acumen imaging cytometers and its modular comPOUND storage system. However it was the LAB2LAB automated sample transport and management system that attracted most interest. A poster entitled ‘The LAB2LAB Advantage’, detailed the Novartis customer experience with this sample trace and data management system. Delegates were able to see how the integration of LAB2LAB, at the Horsham site, has increased analytical capacity, connecting scientists to any instrument, regardless of location. Furthermore, it has enabled effective communication and sample tacking across 4 floors and between 7 labs. 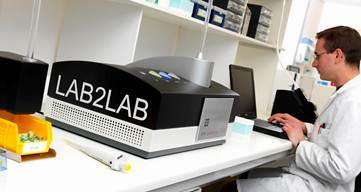 Designed as a systems management product, LAB2LAB maximises the efficiency of the existing equipment, improves workflow productivity, and guarantees the security and continuity of data stream and methods. The European Biotechnology Congress 2011 will take place at the Military Museum and Cultural Centre, Istanbul, Turkey, between 28 September-1 October 2011. SEPMAG, the manufacturer of world leading biomagnetic separation systems for the in vitro diagnostics (IVD) market, today forecast that it is set to again outperform challenging economic conditions, secure high revenues growth and to further cement its foothold in the US IVD market. Today’s announcement comes on the back of growth results in 2010, during which time sales grew by 89% globally and 112% within the US. Already this year, the company has begun shipping to leading IVD companies across the USA including Biocontrol, Innova and Abi Life Tech. Azelis, the pan-European specialty chemicals distributor, has signed a definitive agreement to acquire S&D Group Limited, a specialist supplier of raw materials and ingredients to the pharmaceutical. The acquisition of S&D Group is strategically important as it will significantly strengthen the Azelis Life Science business (Pharma, Food & Health and Personal Care), both in terms of portfolio coverage as well as geographic spread. Gilson Minipuls 3 peristaltic pump and accessory range is now available to purchase online at Gilson UK’s website. All of the listed accessories, pump heads and tubing are easily accessible and are also available to order online. The Gilson Minipuls 3 peristaltic pump has been specifically designed for laboratories with demanding liquid handling needs. Its compact design allows it to be easily integrated into existing systems and can be controlled remotely, via keyboard, computer or other electrical devices. This highly functional pump has a high torque stepper motor and microprocessor speed control that produces a very smooth low-pulse flow that is reproducible at higher pressures. The multipurpose, chemical-resistant pump heads are simple and quick to interchange, that accommodate different sized tubing. Standard flow rates are produced between one, two, four or eight channels at 0.3µl/min to 30ml/min at a maximum pressure of 0.5MPa. High flow rates are produced when using two or four channels at 1ml/min to 220ml/min at 0.3MPa.